Whether you're in the midst of flu season or just fighting allergies, sinus infections are no fun. 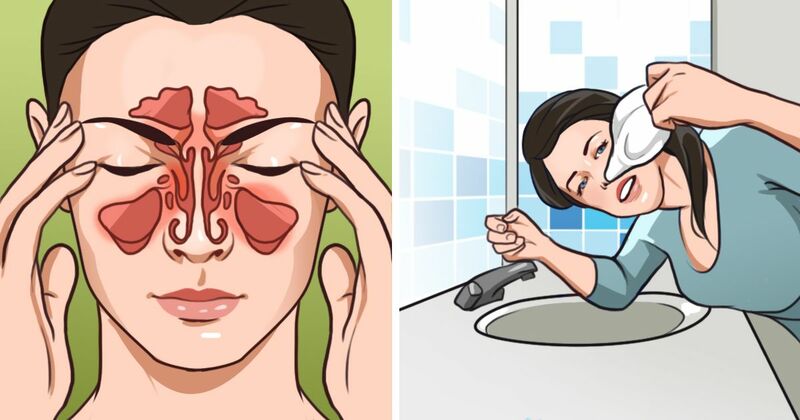 The pounding headaches, stuffed ears and nasal cavities, and other problems that accompany them can drive you to try just about any kind of home remedy. Knowing what works and what doesn't will mean the difference between finding relief and continuing to suffer. Be sure to see a doctor if the infection doesn't clear on its own. For relief of minor discomfort, try one of the 8 home remedies below. 1. Remove allergens. Since sinus infections are aggravated by allergies, reducing the allergens in your home is one of the first steps to helping conquer your sinus infection, according Everyday health. 2. Apply warm compresses. Another great way to help relieve pressure and keep the mucus fluid, according to WebMD, is to apply warm compresses to the sinus areas for five to 10 minutes throughout the day. 3. Get rest. Medical News Today states that one of the best things you can do for your body when fighting a sinus infection is rest. Your body needs time to heal. 4. Hydrate. Keeping the mucus liquid is extremely important, so Everyday health reminds people to drink lots of liquid – hot tea, water, juice, but avoid caffeine and alcohol, as they act as diuretics and work against you. 5. Take bromelain. The University of Maryland Medical Center shares that bromelain is a dietary supplement derived from pineapple that may help reduce sinus inflammation. Talk with your doctor to see if this is an option for you. 6. Irrigate. Using a nasal rinse to clear out bacteria from the nasal passages may help speed you towards healing according to WebMD. The Neti Pot is one of the most common forms of nasal rinse devices. You can use a simple saline solution in the pot. 7. Humidify. Another recommendation by the University of Maryland Medical Center is to add water to the air. If you battle sinus infections throughout the year or specific seasons, using a humidifier may help keep your mucus fluid and moving. 8. Steam. For those really bad times, Medical News Today says to inhale steam. You can do this through a cup of tea, a hot bowl of soup, or shutting yourself in the bathroom with the shower going on hot. The steam helps move the mucus so you can get rid of it. The next time a sinus infections starts, grab some saline and rinse. Inhale steam, rest and drink plenty of fluids. You may end up saving yourself a trip to the doctor.